I am looking forward to hosting Dare2Draw’s event this week with the accomplished and talented Simon Fraser. I hope that you can join, too! 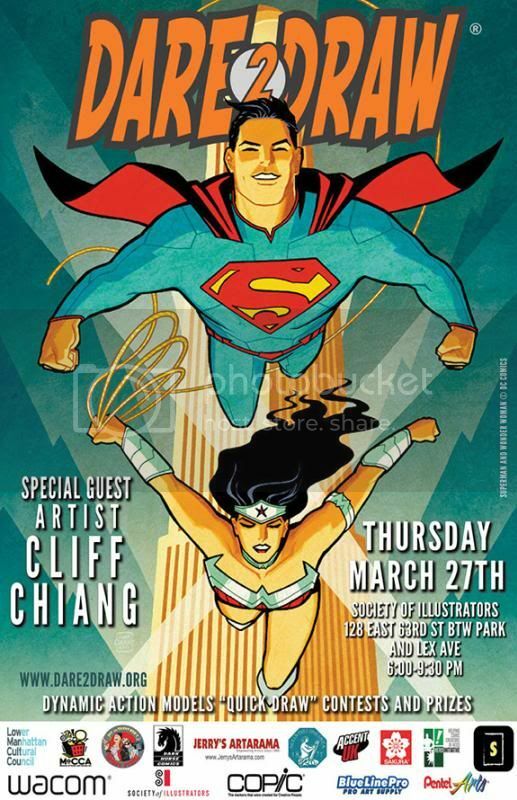 Guest artist is Cliff Chiang which is even more reason to come on by! Come immerse yourself in the wonderful world of art and comics.